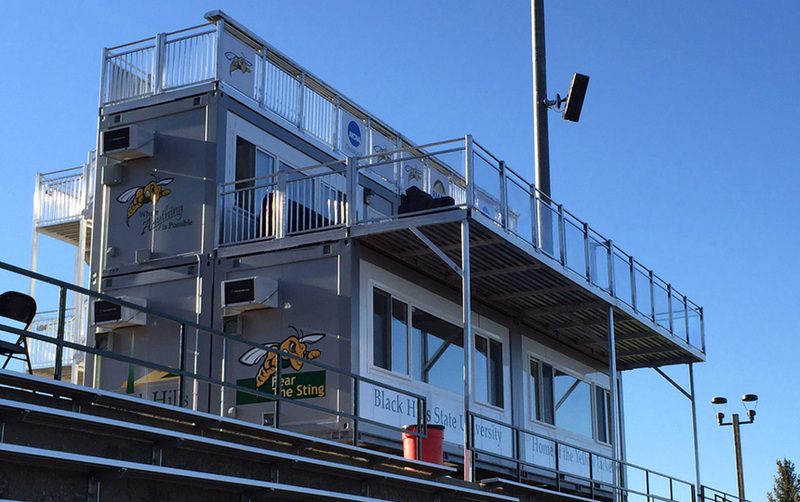 Black Hill State VIPortable - custom designed for permanent football/soccer season. 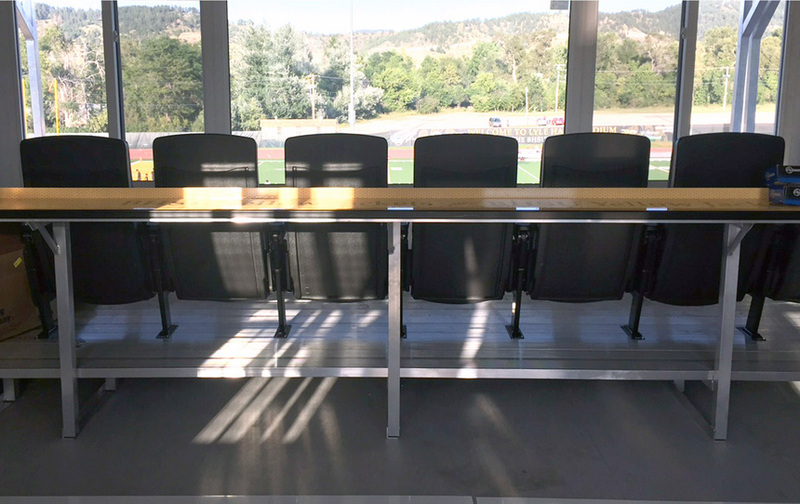 Seating Solutions is proud to introduce our newest creation the V.I.Portable Suite System, great for whenever you need a suite and great for whenever you don’t. 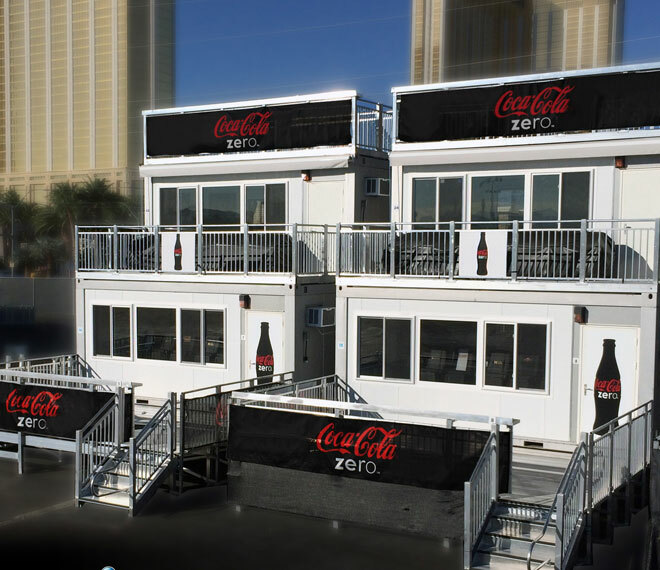 The design works perfectly for expanding your suite inventory for your biggest events without the huge expense of construction and more importantly without permanently losing that valuable real estate. 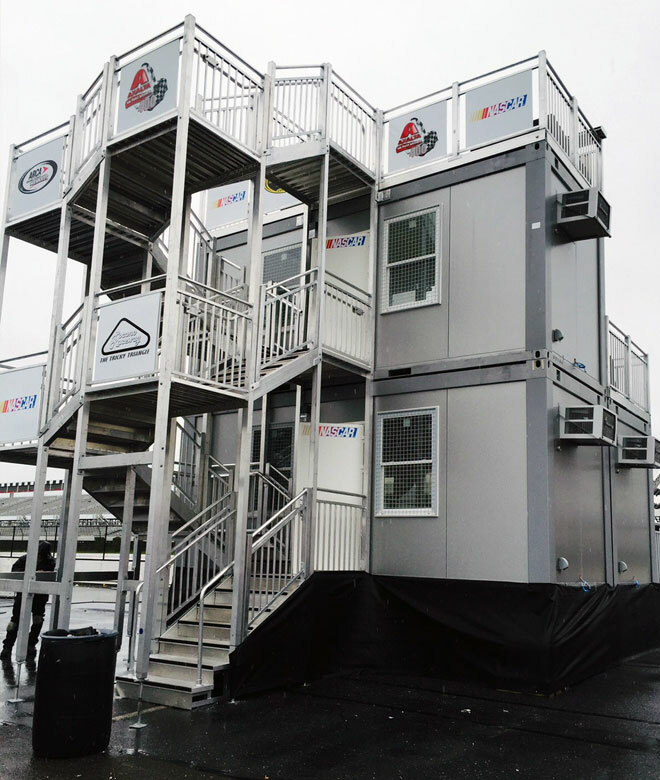 The V.I.Portable Suite System gives you flexibility in your suite inventory and can be reconfigured on the fly for any event. 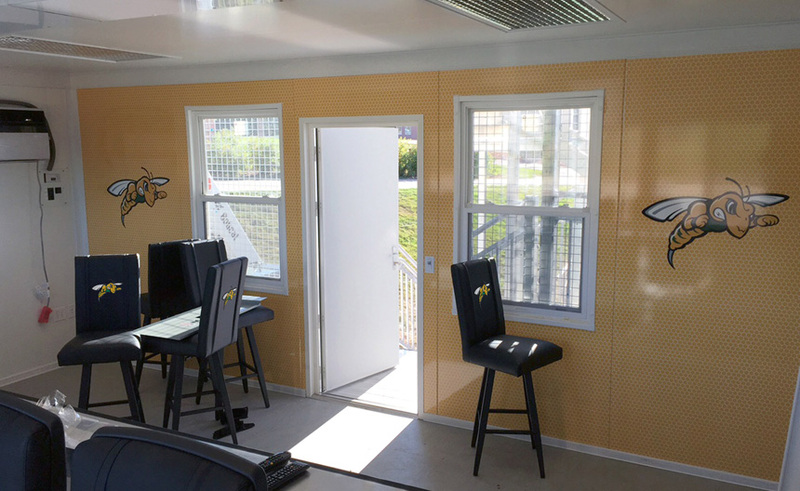 The product presents a lower-cost option for teams and schools that can’t afford to spend millions of dollars to build permanent suites[…]As an operator you’re always looking to grow revenue, and this helps you create a VIP experience for a lot less money than reconstructing a stadium. 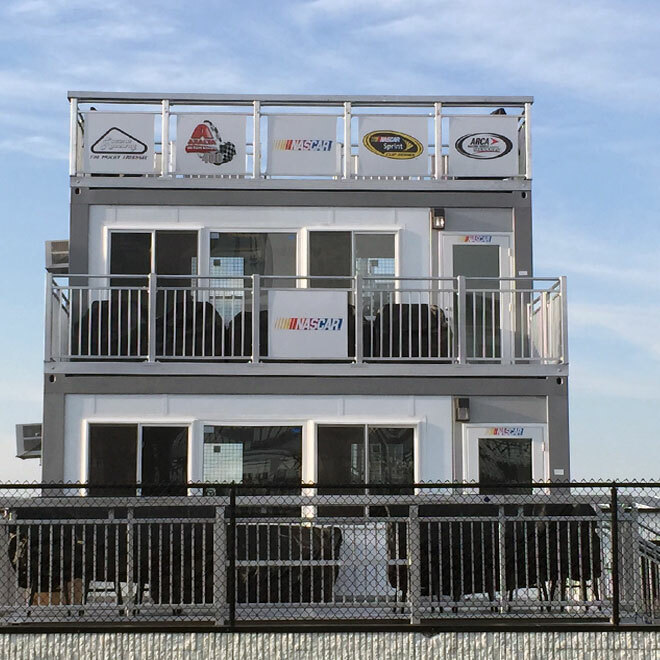 "The key to the VIPortable Suite is its flexibility for relocation during events if necessary," says Scott Suprina, owner of Seating Solutions. 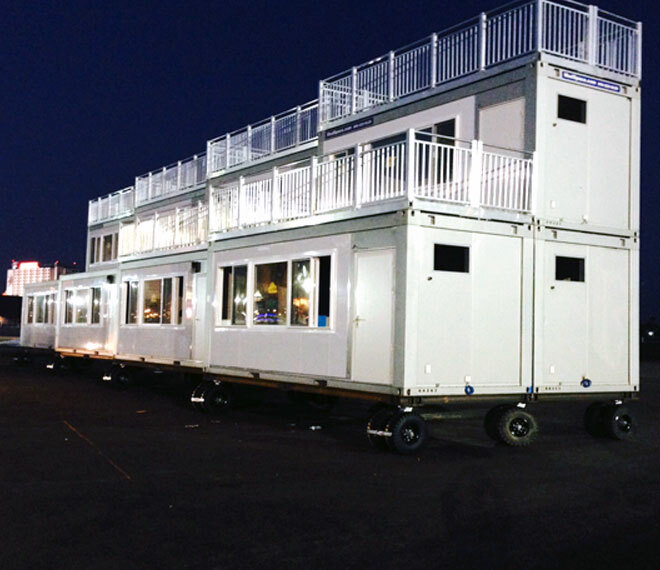 Other companies make portable suites in sports, but most of those units are stuck in one place for the duration of the event. 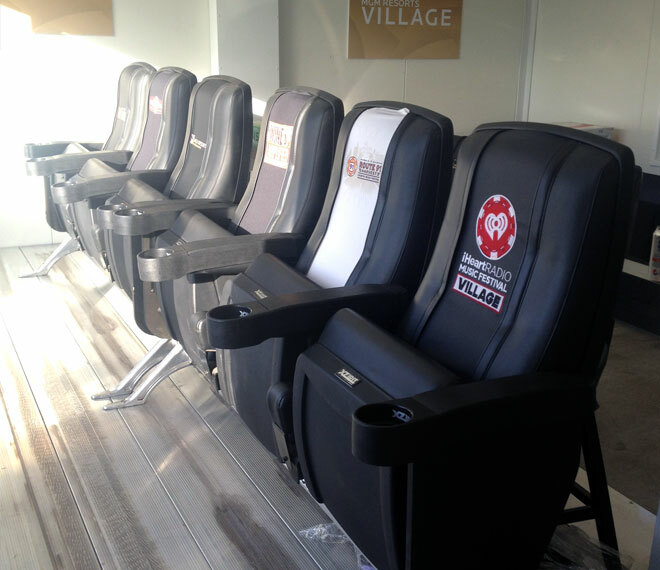 If Seating Solutions builds it, the V.I.Ps will come. 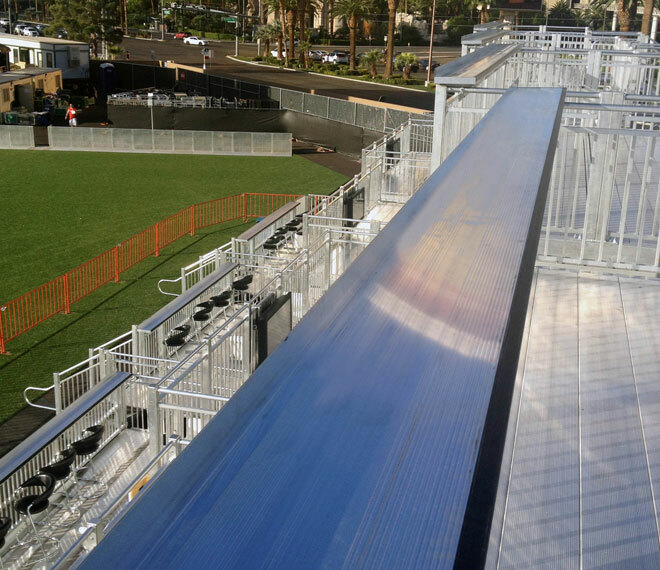 If you build it they will come” … That line isn’t just for Kevin Costner's character in Field of Dreams, it also proved to be true for MGM’s iHeart Music Festival. MGM had the same problem that most events have; they thought that if they built V.I.P. 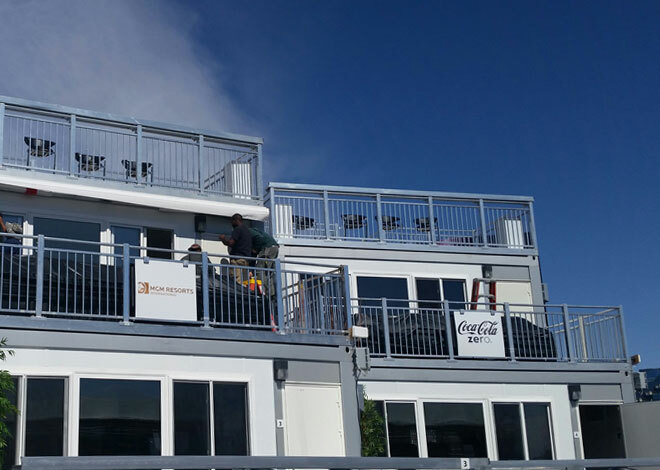 suites people would flock to their events but upfront cost and lack of a proven concept was holding them back. 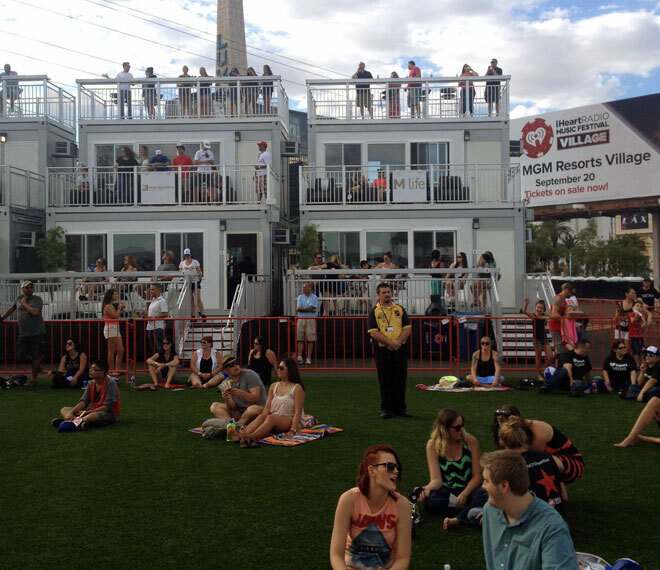 People are always willing to spend more for a luxury V.I.P. 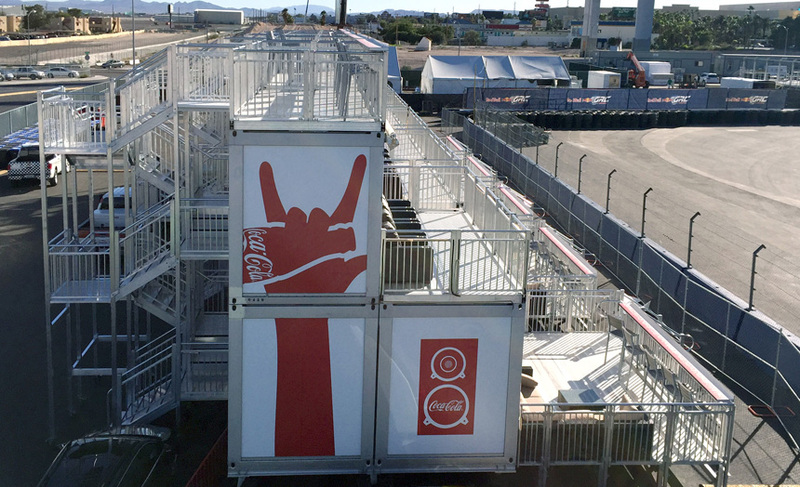 experience but without a tested proof of concept or plan they were not going to be able to supply the iHeart Radio Music Festival V.I.P’s the experience they craved. 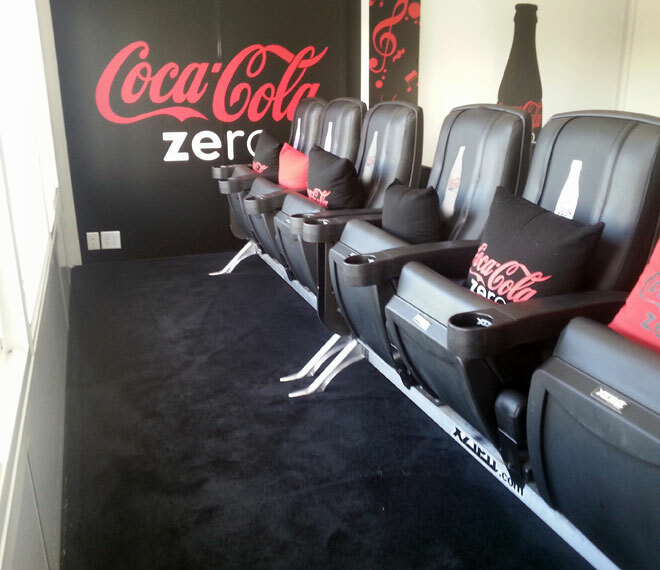 Seating Solutions had the answer! 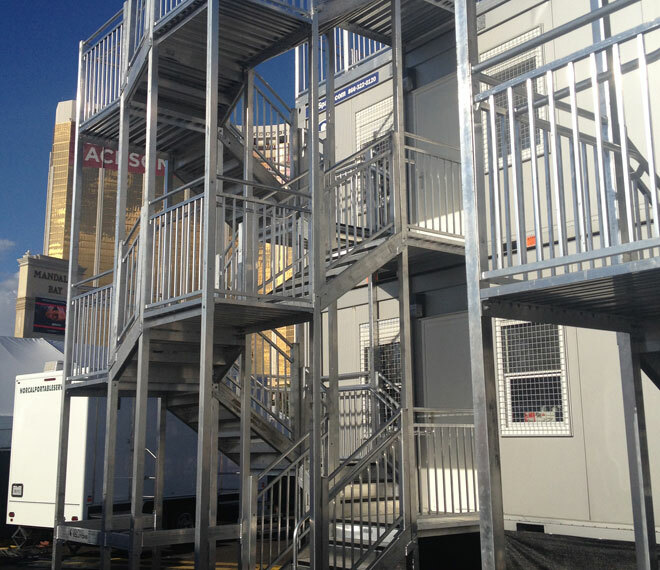 They were able to rent MGM eight of their fully customizable V.I Portable Suite Systems. 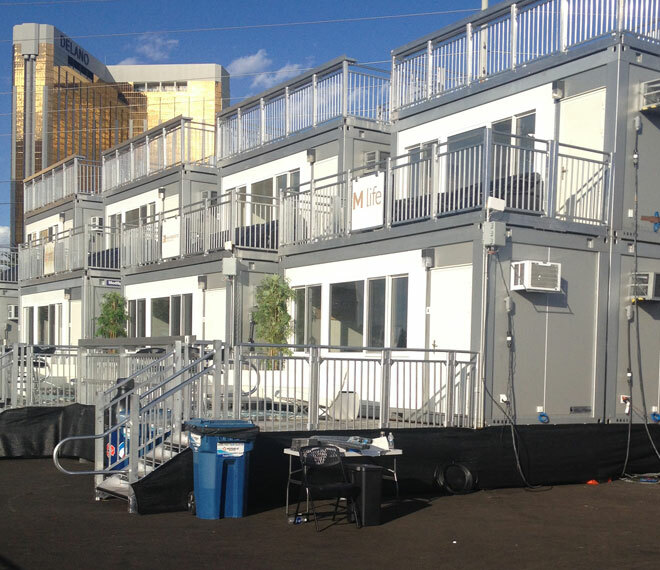 MGM didn’t have to worry about committing the money and space to building V.I.P suites, Seating Solutions built it for them. The rental structure allowed MGM to prove the V.I.P. 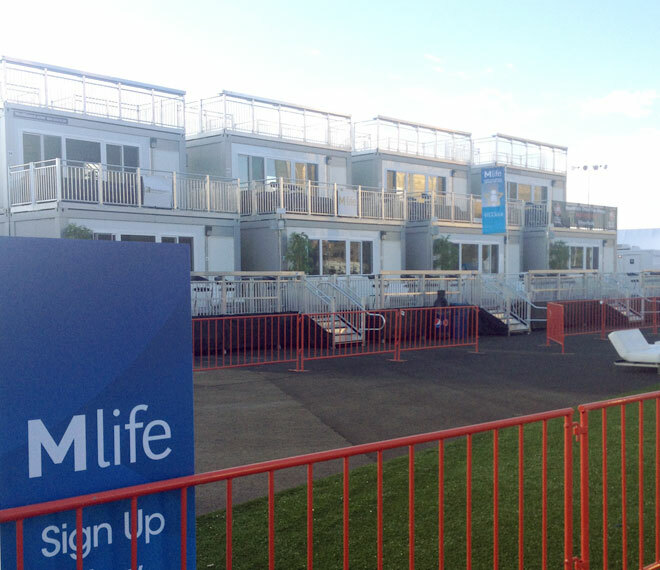 suite concept at the event lot without investing much money or time. 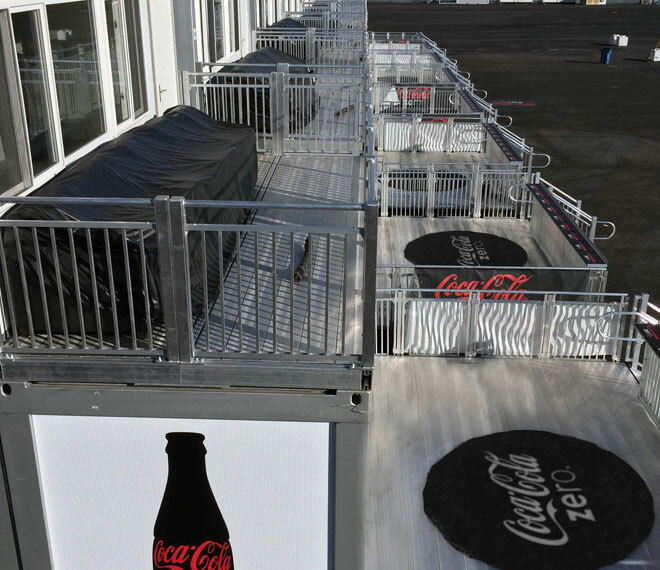 The 3-story, fully re-locatable suites allowed for complete custom branding and promotional signage; everything from their logoed DreamSeat furnishings to walls, rails, stairs, drink rails and doors were branded to highlight the iHeart Music Festival and their sponsors. 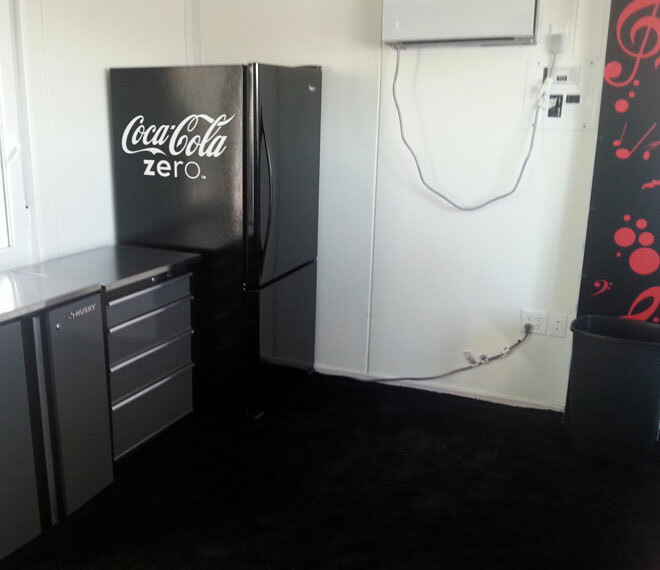 The interior of the suites featured heat and air conditioning systems, and were equipped with a full size refrigerator, move-able countertops, a full electrical package and Ethernet ports for computer network usage. 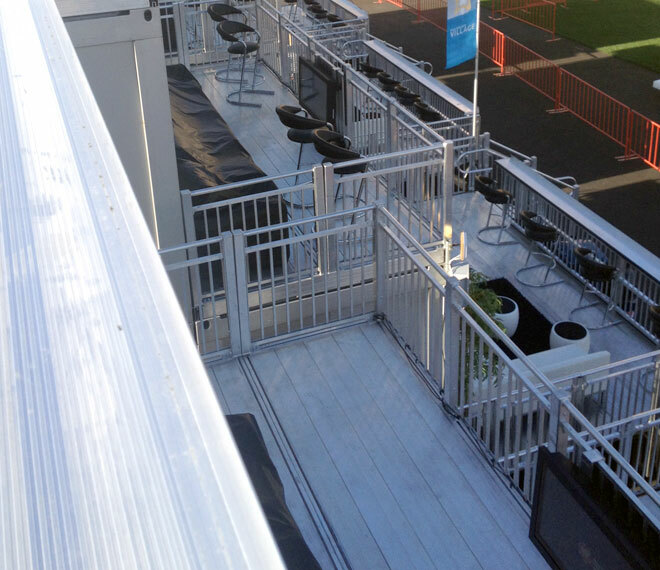 The 2nd story and 3rd floor roof top terrace had unbeatable sightlines and provided a unique fan experience featuring an all-aluminum, code compliant, public access rear staircase to enter onto any level. 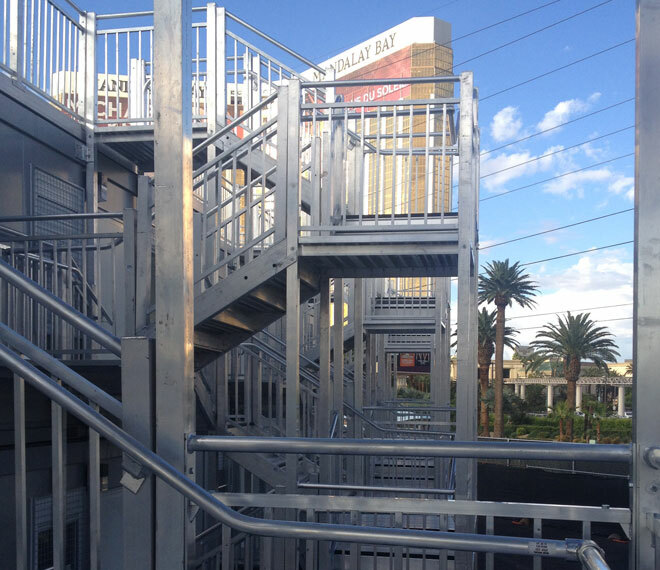 The three level design is unrivaled in the industry and supplies a different experience from each level, indoors or out. The total seat count tops out at 50 people. 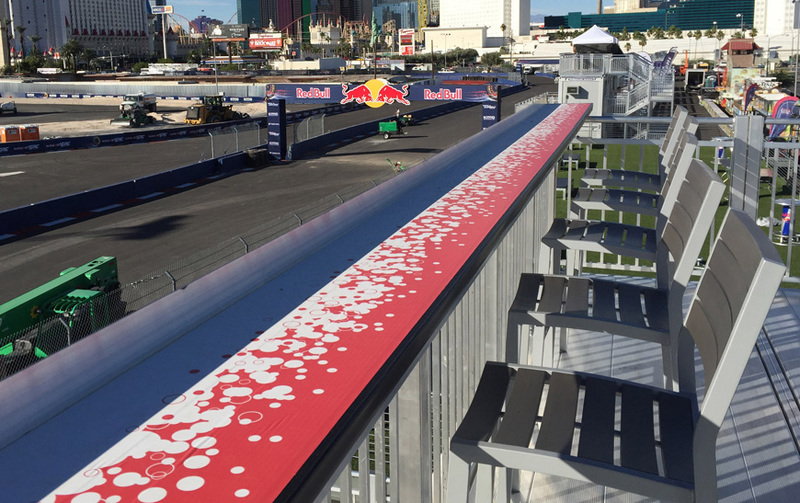 The three stories provide varied sightlines and a different event experience on each level. 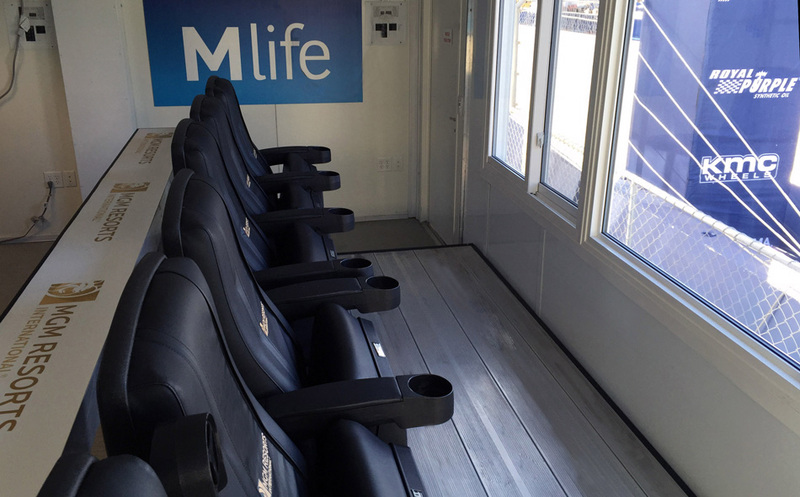 “The key to the V.I.Portable Suite is its flexibility for relocation during events if necessary” says Scott Suprina, owner of Seating Solutions. 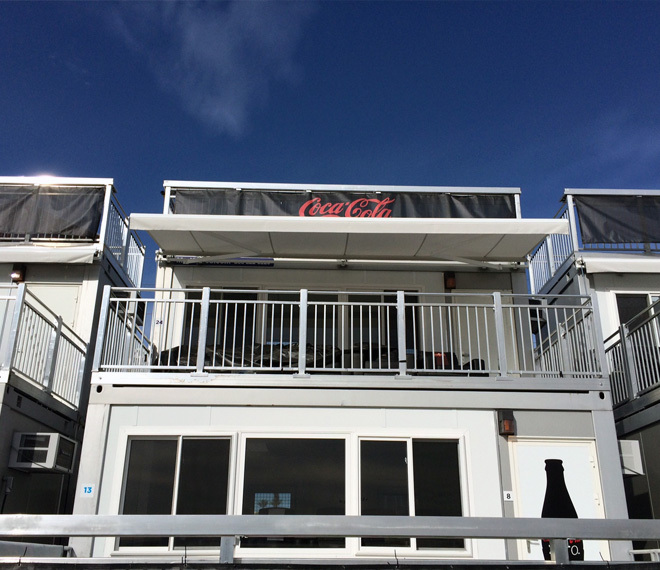 “Other companies make portable suites for sports, but most of those units are stuck in one place for the duration of the event.” The V.I.Portable Suite Structures are a great fit for boosting the premium experience and allows V.I.P’s to stay on top of the action as events change. 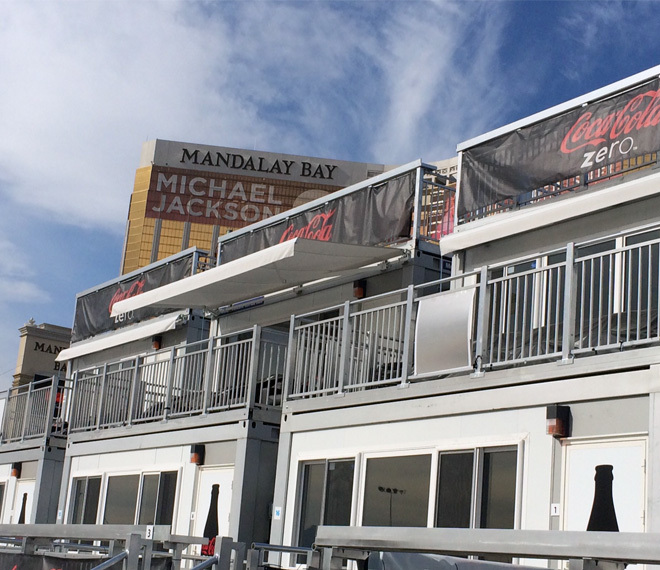 MGM was able to adjust the positioning of the suites to provide their occupants the best view of each performance, whether it was 4 suites on each side of the stage, or 8 suites lined up directly next to each other across from the stage. 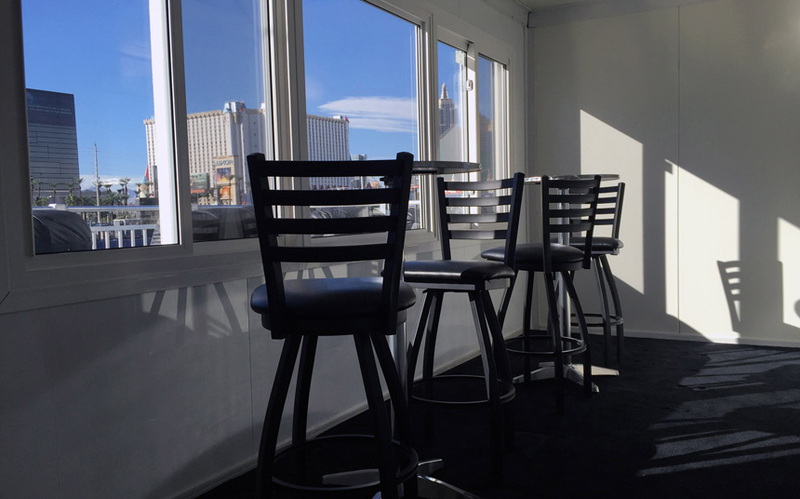 The V.I.Portable Suites are not just for concerts. 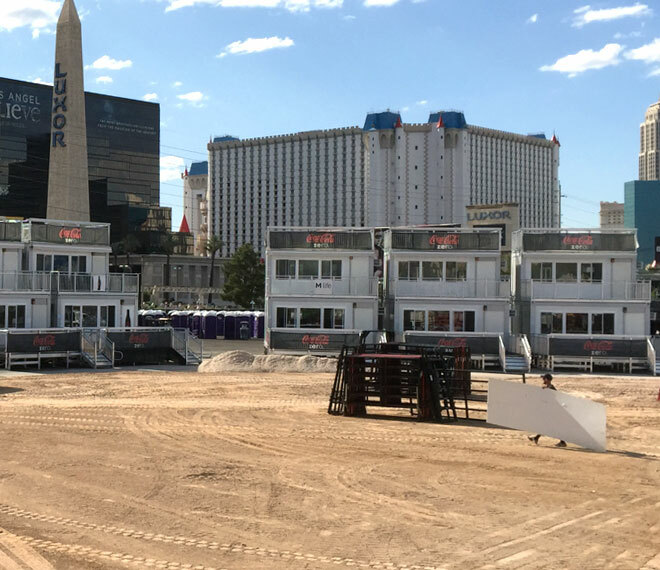 Since the iHeart Music Festival, MGM has expanded their usage of the suites for their Word Series Beach Volleyball event and their PBR – Professional Bull Riders event. 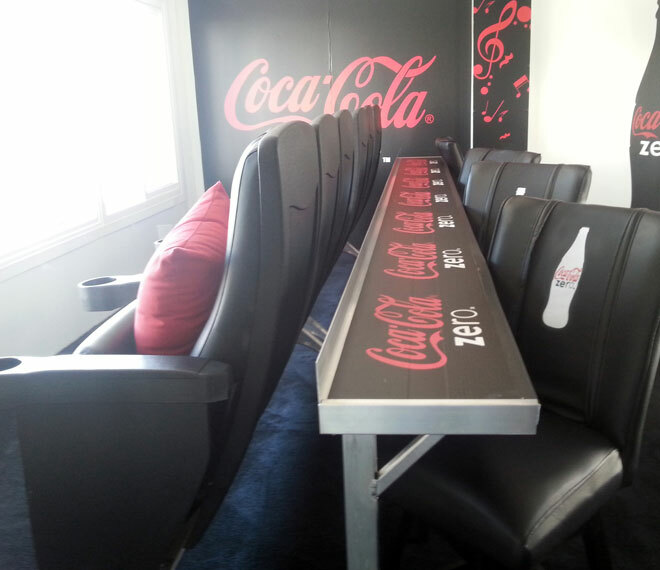 Seating Solutions has also discovered a demand in the professional, collegiate and high school sports market. 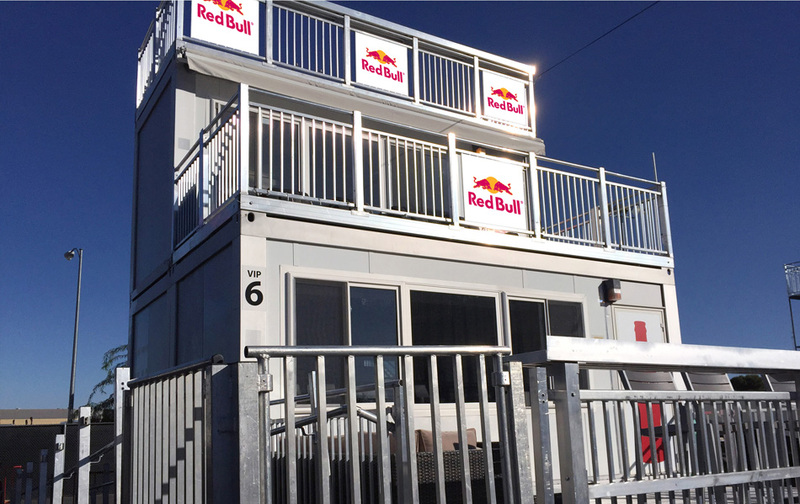 Many Universities and teams are renting and purchasing the V.I.Portable Suites to move from sport to sport as the seasons change. 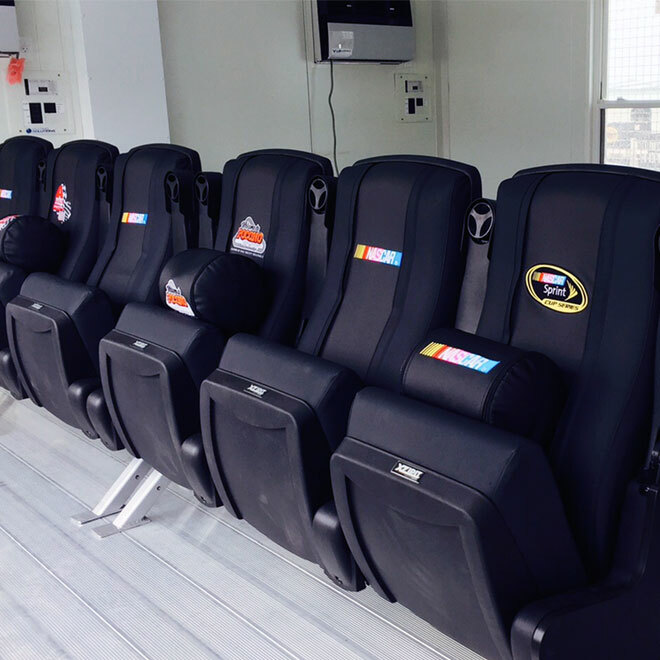 Seating Solutions has made their suites available for purchase as well. “We understand the desire for teams and Universities to provide V.I.P. 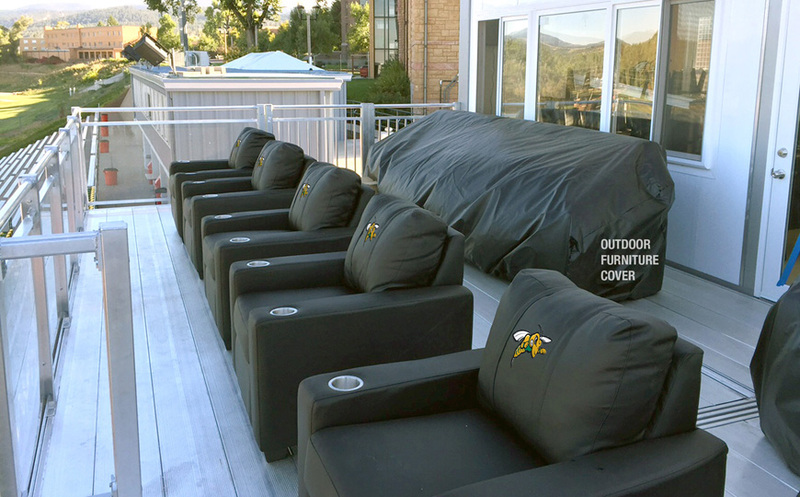 suites for their fans so we offer rental and purchasing plans.” says owner Scott Suprina, we have even created our own “Perma-Rent” plan which looks like a multi-year rental on the surface, but unlike other plans it concludes with ownership.” Thanks to Seating Solutions, teams and Universities can now afford to give their fans the best V.I.P. experience. 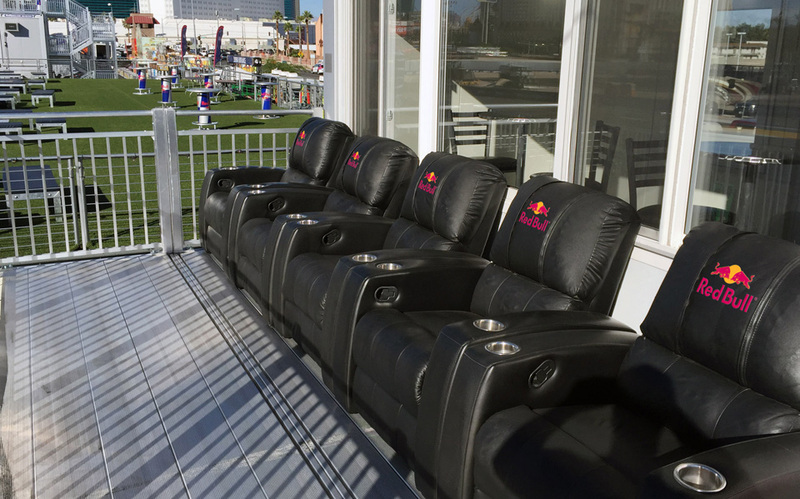 As their name implies, Seating Solutions specializes in the design, manufacturing and installation of permanent and portable spectator seating solutions. 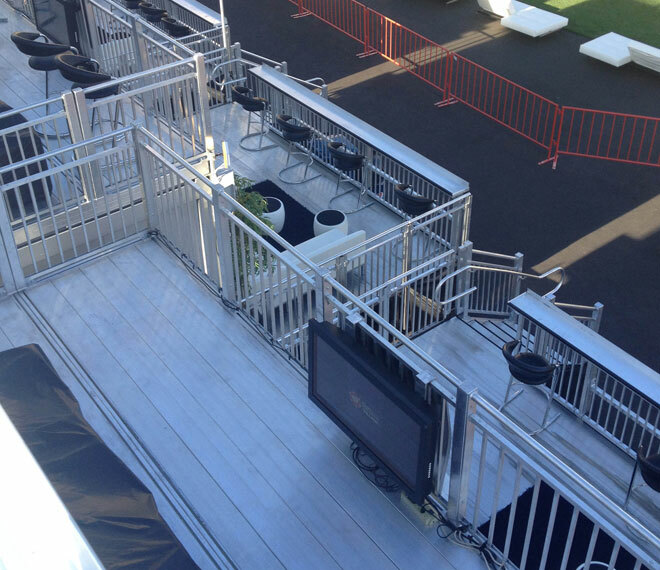 The V.I.Portable Suite System is reimagining the way venues, music festivals and Universities cater to their V.I.P’s. 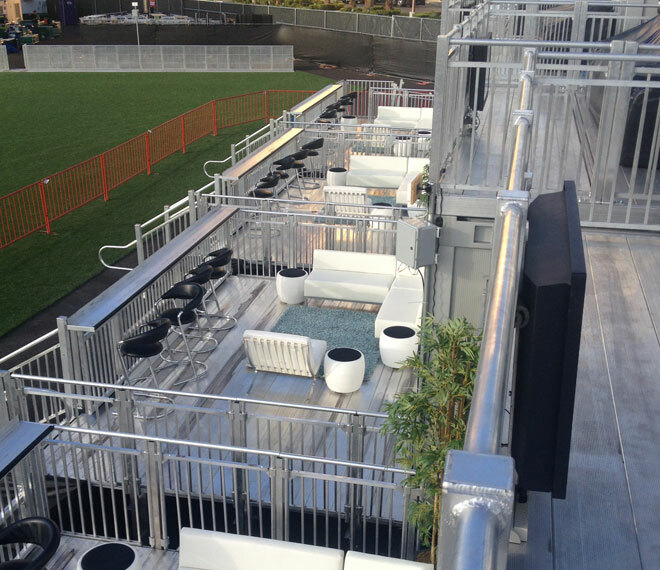 Seating Solutions will build it and the V.I.P’s will come.